Southend Airport – which has had a huge and very rapid rise in the number of aircraft using the airport over the past year – has received more than 1,000 claims for compensation over aircraft noise. Homeowners nearby are concerned that the airport is reducing the value of their properties, due to the noise. The airport has said it will honour residents’ compensation claims if it is proven their homes have lost value because of its activities. Jon Fuller, of local group SAEN (Stop Airport Expansion and Noise) said that estate agents are giving strong indications local residents must expect many thousands of pounds less than they expect when they sell their homes. Though house prices in the area are generally fairly buoyant, if houses are close to the airport or on the flight path prices are suppressed. 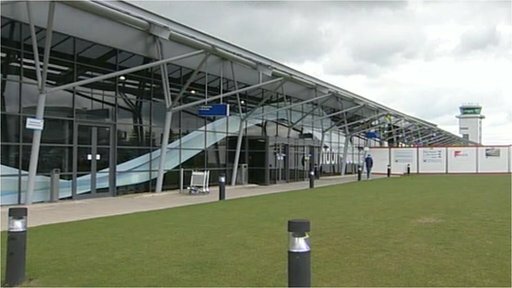 The airport’s CEO, Alistair Welch said people can make a compensation claim up to a year after the new terminal is finished. Surveyors, Michael Marriott, who are helping people submit claims say they can only claim for nuisances arising from the use of the runway extension. Nuisances arising from the use of the airport which do not depend upon the extension will be disregarded. Claims could only be made after 9th March 2013, for 6 years. So the end of the claim period is March 2019. An airport has pledged to honour resident’s compensation claims if it is proven their properties in Essex have lost value because of its activities. More than 1,000 people have issued claims against Southend International Airport where flights have increased. Passenger numbers are climbing and have reached 700,000 in the past year bringing many extra flights. Managing director Alastair Welch said the airport would meet its obligations if claims for compensation are upheld. Jon Fuller, of Stop Airport Expansion and Noise, said: “Estate agents are giving us very strong indications local residents must expect many thousands of pounds less than they expect when they sell their homes. Resident Freddy Hubbard is making a claim because he wants to sell up to emigrate to Australia where his daughter lives. “We have to raise a certain amount of money so we’re selling the house,” he said. “But because of the airport, prices are falling and now it depends on what we can get. Mr Welch said: “People who believe they are entitled to compensation can make a claim up to a year after the new terminal is finished. “Each claim will be subjected to a detailed and thorough assessment. ALMOST 1,000 homeowners have submitted compensation claims to Southend Airport for a loss of value to their homes – with hundreds more expected. Surveyors submitted at least 950 claims from people who believe the extension of the airport’s runway has cut their house price in the first week since applications opened. Chartered surveyor Michael Marriott, who submitted more than 650 claims on Monday and is preparing to hand in about 50 more, said: “It’s quite evident that there is a significant number of people who are feeling aggrieved enough to make a claim. “There are clearly more than 700 people who have concerns about it. The airport has to compensate householders who can prove an increase in noise, vibration, dust, smell, light pollution, discharge or fumes as a result of the airport’s expansion has devalued their homes, under a law called the Land Compensation Act. Applications opened on March 9, the day after the anniversary of the runway extension opening. CLAIM UNDER PART 1 OF THE LAND COMPENSATION ACT 1973 (AS AMENDED) LONDON SOUTHEND AIRPORT RUNWAY EXTENSION. You have an entitlement to claim compensation for the diminution in the value of your property if you think your property is affected by nuisances arising from the newly extended London Southend Airport. We do not know at this stage if any diminution in value will be caused. Once all the information is collated including noise statistics a clearer picture will emerge on the likelihood of any compensation payment. You are only able to claim for those nuisances arising from the use of the airport due to the runway extension. Nuisances arising from the use of the airport which do not depend upon the extension will be disregarded. The nuisances for which you can claim relate to the following physical factors:- noise, vibration, smell, fumes, smoke, artificial lighting, and discharge of any substances on to your land. No other physical factors will be considered. For further information contact us or see www.legislation.gov.uk/ukpga/1973/26. THOUSANDS of people may get compensation payouts for living beneath the flightpath of an expanded Southend Airport, it has been claimed. Residents across Leigh have been sent letters from chartered surveyor Michael Marriott telling them their homes may have lost value as a result of the airport’s runway extension. The extension, which was completed earlier this year, allows larger aircraft, such as those operated by budget airline easyJet, to use the airport as a base to fly to scores of European destinations. The first easyJet flights to Belfast, Barcelona and Amsterdam took off using the extended runway last week, and it is expected the airport will have up to 70 flights a week. It also points out residents are entitled to free representation. Caroline Parker, a Leigh town councillor, believes residents should be entitled to compensation as she has been told her home could lose £25,000 in value due to the airport. She said: “When I moved here three years ago, I didn’t know my house was under the flightpath. “If I had known I probably would not have moved there. Pat Seago, from the same street, said: “When I moved here six years ago, I had no idea it was under the flightpath. Chartered surveyor Michael Marriott said: “We do not know at this stage if any devaluation will be caused. “Once all the information is collated, including noise statistics, which are expected to be taken later this year, a clearer picture will emerge on the likelihood of a compensation payment. The physical factors are noise, smell, vibration, fumes, smoke and artificial lighting and the discharge on to the property of any solid or liquid substance. To claim you must have been the owner of the property before the date the extended runway at London Southend Airport first came into use – sp 8March 2012.You must also still be the owner on the date you claim.In addition to being the owner, you must also occupy the property as your home at the date you claim. The exceptions to this are where you have let the property to someone else or there is another legal reason preventing you from occupying – for example, there is a court order in place which removes your right to occupy the property. You must be the owner and the occupier before the extended runway first came into use and at the date you claim.You must occupy the whole of the unit and own the freehold or a lease with at least three years left to run on the whole or any part of the unit at the date of claiming. London Southend Airport will need to be satisfied that an agent has been authorised to act for you. We do this by asking that you either sign the claim form or that your agent provides other signed evidence that you have authorised him or her to act on your behalf. We have no authority over the agent you employ or any responsibility for his actions or conduct. This includes the terms of any contract or agreement between you and your agent, the contents of your agent’s literature and the way in which your agent may ask for payment of fees from you. We cannot comment on the terms of an individual contract or agreement, which are private matters between you and your agent. For these reasons, it is important that you are clear about the contractual arrangements you enter into with your agent, which could be legally binding. You should also be clear about what an agent will actually do on your behalf and what payments and other costs you may be asked to meet. This includes any charges if your claim is not successful or if you choose no longer to employ the agent. It also includes any other payment in addition to any specific fee we repay. It is important that you make your referral no later than six years from the firs claim day. plans to expand Southend Airport. are slightly confused by many respondents having submitted more than one comment. SAEN was formed to campaign against the runway extension at Southend Airport. living, working or going to school anywhere near the flightpath. to the airport’s expansion, it’s obvious that they are very reluctant to publish. on air to do his usual “Jobs, jobs, jobs” routine. Posted: Wednesday, June 5th, 2013. Filed in News about Airports, Noise News, Recent News.